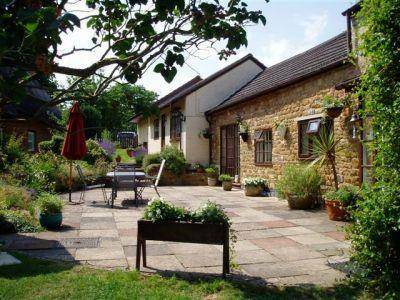 Gable Cottage offers excellent bed and breakfast accommodation in the privacy of the cottage annexe. 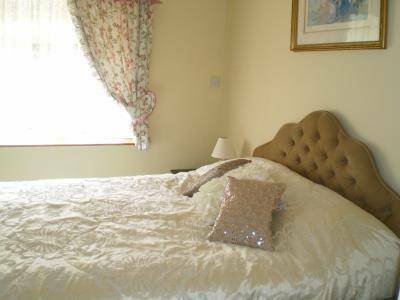 One suite of two bedrooms in this B and B offering flexible accommodation for up to 4 people. Both rooms have views overlooking the garden and the thatched cottage next door. A private bathroom with both bath and shower. There is also a private sitting room and an area of the garden to enjoy when the weather allows. Quietly nestling in the quiet English countryside, Braunston is to be found in England’s smallest county which has much to offer you; not least, stunning Rutland Water, an array of unspoilt villages, and the attractive market towns of Oakham, Uppinhgam and Stamford that are packed with charm. Rutland Water is just a ten minute drive away,and is England's largest manmade reservoir. Popular for cycling, walking, water sports, fishing and bird watching. 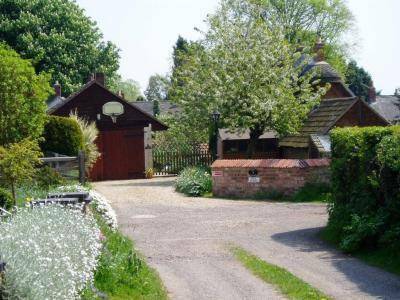 Braunston is a small, picturesque village in a rural location 2 miles from Oakham. Gable Cottage offers fabulous service with attention to detail. Fiona is a Cordon Bleu cook and the delicious breakfasts are cooked on the Aga. Situated in a secluded spot reached via a private lane and there is ample parking. Both village pubs are a few minutes walk away and serve excellent food. No pets, sorry. Rutland, though small, has a vast array of attractions in the area. The market town of Melton Mowbray being just a 20 minute drive and home to the famous pork pie. Even the cities of Leicester and Peterborough are only half an hour by car or train. There are the stately houses of Burghley, Belton, and Grimsthopre within half an hour, also Isaac Newton's family home at Woolsthipe.